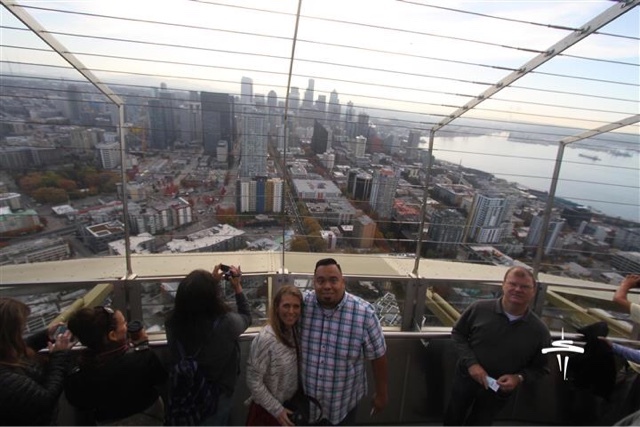 You can't go to Seattle without going to the iconic Space Needle! We visited the needle and it was great to see the city from the top. We were there waiting for it to open and the crowds weren't nearly as bad as I thought they'd be. The glass elevator takes you to the top and you are open to the elements once you reach the view point. 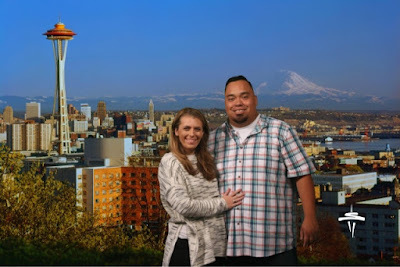 We were lucky enough to have no rain and the skies were clear so we had 360 views of the city. Beautiful views! I'd hate the elevator going up seeing the ground get farther and farther. How fun! That looks like a really cool experience. I'd love to go someday! It looks like you had some awesome weather on your trip! Those views are awesome!